New models are launched at the Chinese Chengdu Motor Show. 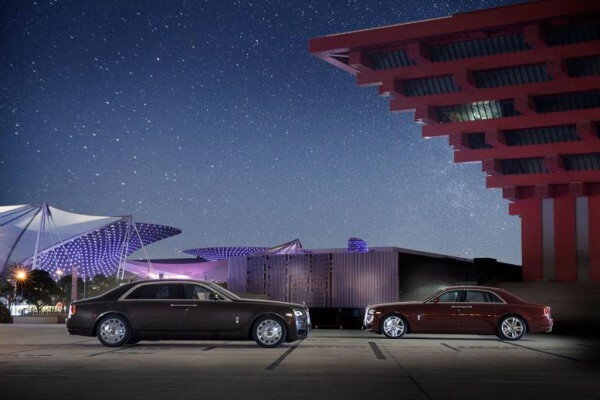 Rolls-Royce Motor Cars unveiled the eagerly anticipated Ghost Series II to the Chinese market. Ghost Series II delivers the latest industry-leading technology from Rolls-Royce clad in a subtle re-design. It exudes the timeless yet cool, modern luxury that the car’s Chinese customers – the Captains of Industry, entrepreneurs and successful businessmen and women who are the wealth and job creators in our economies – demand. The launch of Ghost Series II consolidates Ghost’s position as the most popular car in the €200,000+ class, and as a cornerstone of Rolls-Royce’s continuing success. Protecting the popularity of Ghost’s iconic design whilst delivering the latest Rolls-Royce technology to its exacting customers, the subtle re-design of Ghost Series II begins from the front. Re-sculpted LED headlights encircled by daytime running lights lend Ghost Series II a more dynamic visual signature and blend perfectly with revised surface treatments to the front of the car. A tapered ‘wake channel’ on the bonnet, emanating from the Spirit of Ecstasy, evokes the sight of a jet’s vapour trail or wake of a fast luxury yacht and hints at the car’s dynamism. Subtle re-sculpting of Ghost’s bumpers creates a stronger stance and a sense of extra width and height, whilst the contemporary aesthetic is further enhanced with the addition of chrome inserts to the front air intakes, which now feed more air cooling to the front brakes. In addition, the famous waft line has been re-designed on Ghost Series II to lean further forwards emphasising the car’s effortless dynamism. Inside, Ghost Series II delivers on its outward appearance. The ultimate contemporary combination of luxury, technology and connectivity available to the successful entrepreneur on the move today, Ghost Series II’s on-board technology ensures it is an oasis of calm in a busy, connected world where he or she can do business in peace. Its suite of technologies ensures that both business and leisure time in the car are a super-luxurious effortless experience. On-board Wi-Fi makes Ghost Series II the most connected, luxurious place in which to conduct business on the move, whilst Satellite Aided Transmission (SAT), debuted in Wraith last year, enhances the car’s dynamism – ensuring the car automatically adapts to its surroundings augmenting the drive experience. Updates to navigation systems and the car/user interface ensures accessing Ghost’s features remains an effortless experience, whilst optional Bespoke Audio – the most exhaustively engineered and finest audio system in automotive history – brings new levels of aural satisfaction to passengers. In short, Ghost remains the ultimate choice for successful Chinese entrepreneurs and the calmest place from which to run their successful enterprises on the move. Next Truck Talk: Leyland’s celebrations are a gas!